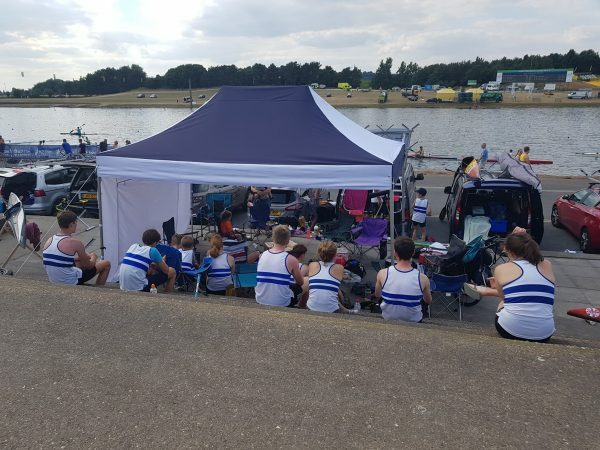 During yet another glorious weekend of weather (unheard of in past years), 39 Reading Club members and their supporters trekked up to Nottingham to take part in the MacGregor Inter Clubs Challenge Regatta. 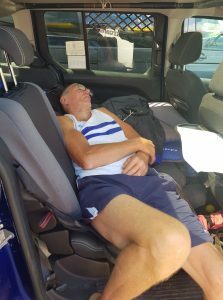 We had seven paddlers new to sprints competing – Stuart, Marc and Craig in Masters D, Timi in Women’s Masters B, Joseph in Boys D, Georgia in Girls D and Bruno in Lightnings. All didn’t bat an eyelid and just got on with the business of racing. It was great to see so many RCC boats steaming down the course throughout the two days, often two boats in a race … quite something to field in the K4 races. And there were wins galore as well – from Masters, to Seniors, to Juniors … right across the board. There are so many great wins to mention (13 1sts and 31 podium places in total) – in K4, RCC took four 1st places (in Masters C/D 200m and 500m, in Boys D 500 and Boys A 500). So exciting to watch. In the K2 races, there were many 1st, 2nd and 3rds. Special mention to Joseph and Thomas for their hat trick of K2 wins, Stefan and Tom for a 1st and 2nd, Nik and Lee for their 3rd, Annie and Toby for a very convincing 1st in LTA. In WMasters B 1000m, Bethan and Rachel took 2nd and Vicky and Timi 3rd and Masters C/D 500m Marc and Brian took 3rd. Dan and Fred in Boys A 500m were 2nd, an aggravating 8 hundredths of a second off 1st. Among the K1 wins, there was 1st and 2nd places in Boys A 200m (Dan and Fred); in Masters D, Tom won 1st in 200m and 500m, Stefan took 2nd in Masters C 1000m, Nik 3rd in Masters C 200m, Toby 3rd in U12 Boys, Joseph 2nd in Boys D 200m and Rory 3rd in Boys C 200m. Over the weekend, we wavered between 4th and 5th place for total points, eventually ending up 5th overall (out of a whopping 53 clubs), and 37 points ahead of Richmond in 6th. Not only that, three of our paddlers were promoted: Tom Hollins to Masters C, Joseph Beeney to Boys C and Rory Tietema to Boys B. Well done to all those who took part. Apologies to any great wins omitted! So many to keep up with! One more chance to sprint at Nottingham this year – 1st/2nd September with the Junior and Senior National Marathon Championships.